High performance: XTEND™ offers higher puncture and tear resistance than conventional pallet wraps, and it stretches more for improving material savings. 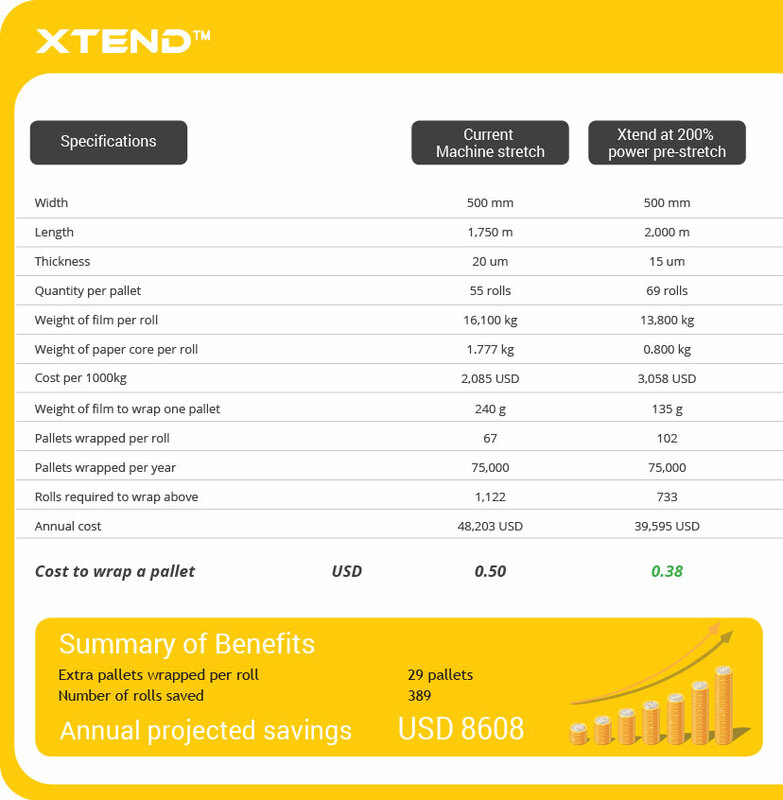 XTEND™ offers a superior load containment and is also significantly down-gauged compared to traditional stretch films, providing enhanced load unitization and securization at a lower cost per pallet wrapped. Thickness: 15um, 17um, 20um, 23um.